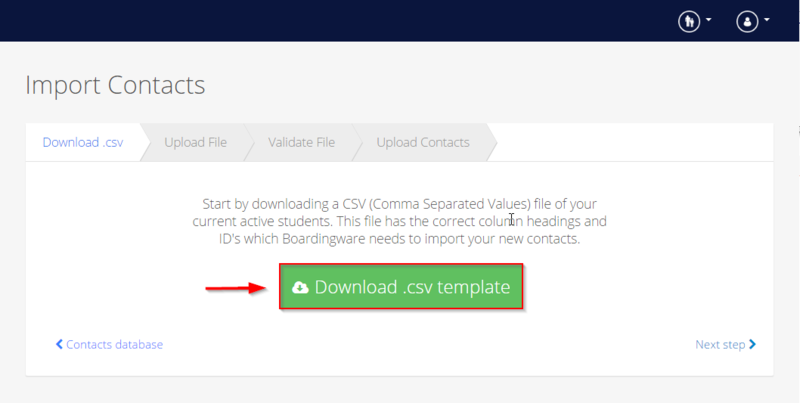 Boardingware gives you the ability to upload all your contacts in a single CSV file. *Please be sure not to change to the order of the columns. 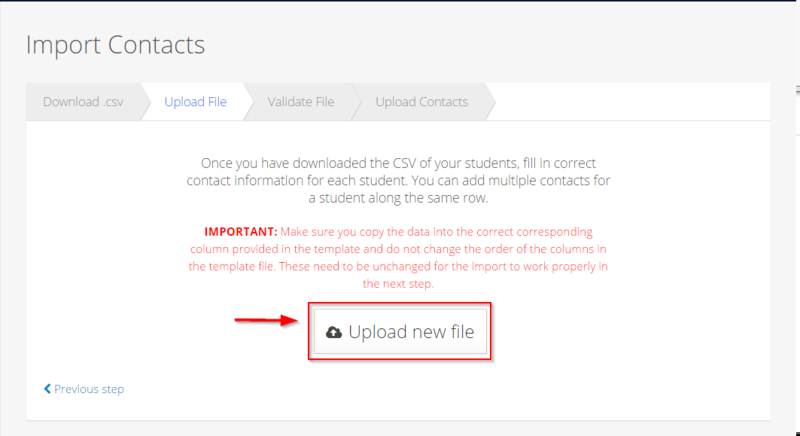 Note: The red box is just to indicate where the contacts information is filled. 5. 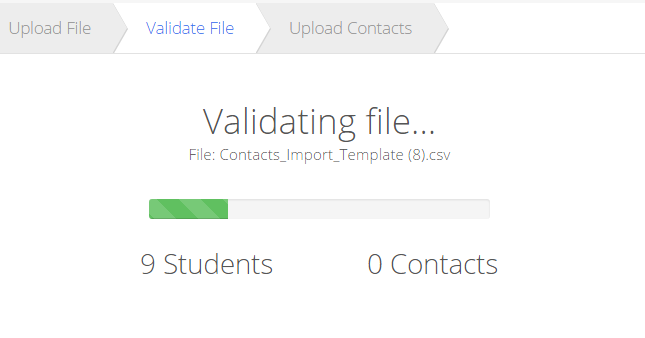 Once the csv file has been validated, click 'Complete contact import' to finalize the import. This may take a few minutes to complete depending on the size of your file. 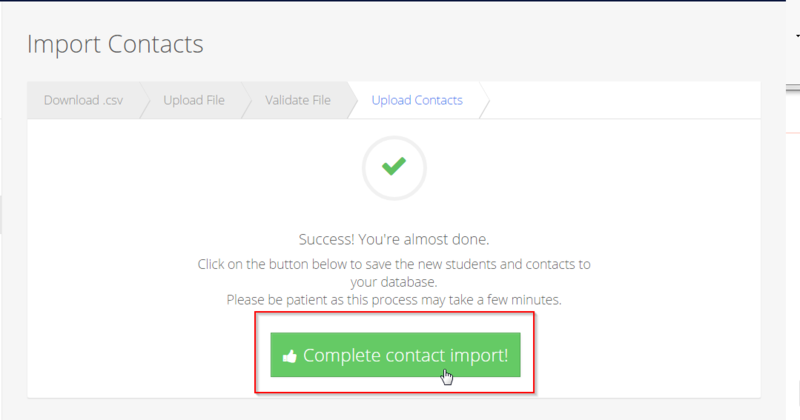 Now you have added your contact information!